UPDATE: Los Angeles Police Department have officially fired fugitive cop, Henry Solis, wanted for murder, On Tuesday Chief Charlie Beck issued the following statement on the department's official blog: "Henry Solis failed to meet the minimum standards of the Los Angeles Police Department and has been terminated effective immediately." POMONA, CALIFORNIA -- (MINS) It's not everyday a cop kills someone and then actually has a warrant for murder issued for his arrest. Henry Solis of the Los Angeles Police Department was off duty when police say he killed Salome Rodriguez, Jr. The incident began as a fist fight and quickly escalated when Solis decided to pull out a gun and shoot Rodriguez. The 23-year-old victim was shot at least five times according to sources as reported on People.com. After Solis didn't show up for work Saturday, he was connected to the shooting and named a person of interest in the case. Pomona police officially issued a warrant for his arrest on Monday. He could be ANYWHERE! Even in another state by now. Solis had no history of disciplinary issues since joining the LAPD last June. "He was a good officer, as far as we know," Lt. Ronald McDonald told the Times. "Whatever happened, happened." Authorities said Solis knows he is wanted and that they are searching for him. This man could be riding the bus or the train right next to you. He could in the car besides you at a red light. Or seated at the table across from you while at your favorite spot. Or even sipping coffee right in the same cafe. The victim's mother urged Solis to turn himself in, according to the Daily Bulletin. "Why are you running?" Lidia Angelica Rodriguez asked. "Just turn yourself in. I can't believe someone with a badge and a gun could do that to him." An urgent appeal is being made to use social media for good. Use it for justice! 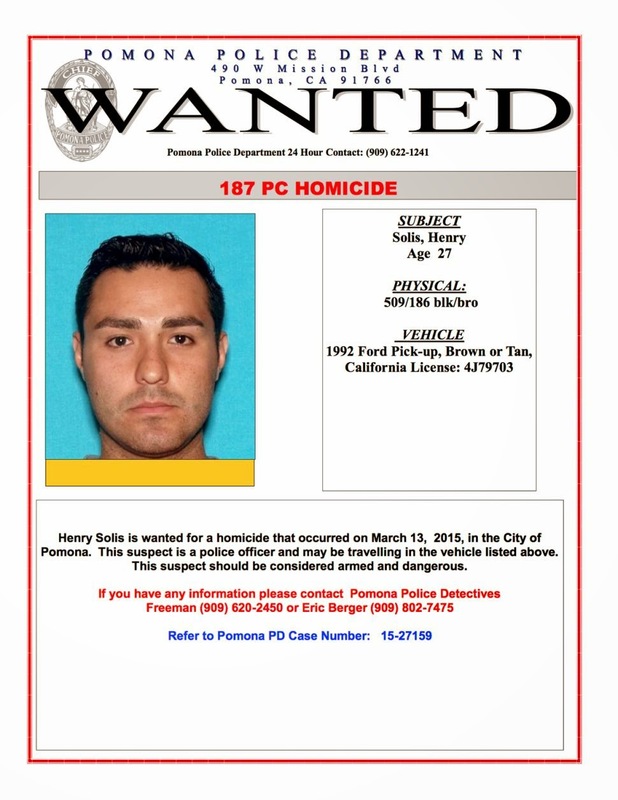 Let's make Henry Solis, his picture and his crime famous! The FBI Fugitive Task Force is assisting in the search and so can you, by sharing this story and keeping your eyes open. Henry Solis is an extremely dangerous man. He was only a rookie in the LAPD, with just less than a year on the force he's already gone rogue! 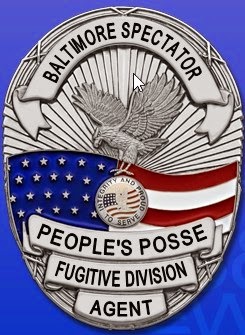 Join the People's Posse™ and share this post and these photos far and wide, on every social media you're on. Your share could be the one that helps get this dangerous killer off the streets. The victim's family deserves to see justice. Help catch a killer! Share this right now. Don't delay. Commit to sharing this at least once each day until this killer cop is off the street. Do it today! "As long as I continue to breathe, as long as there's injustice in this world, I will use the voice that God has given me to speak against it." Occasional media critic, researcher, independent investigator, and entrepreneur, A.F. James MacArthur is Baltimore's most well known independent journalist contributor. A member of the underground news network for over 20 years. During this time, he's been a frequent subject of attack by government under the guise of law enforcement. Although closely watched and followed, he's often boycotted from being given any credit for his work by mainstream media.